MEET MARIE OCTOBER 2ND, 2018! Preorder now to receive a print by Abbie Cruz! "Marie Miranda Cruz was born in the Philippines. She spent most of her formative years moving between her hometown, Cavite City, and several cities in the United States while her father served in the United States Navy. When her dad retired, she moved back to the Philippines where she completed both high school and college. The first holiday she experienced in the Philippines was All Saints Day. It was this experience that inspired her to write her first novel, Everlasting Nora. Marie now lives in Los Angeles with her family and a tank of fighting fish. When she isn’t writing books for kids, she may be analyzing chromosomes in a genetics lab, reading a good book, or knitting ponchos and fingerless gloves." The deadline for event orders is October 2nd at 12:00pm. 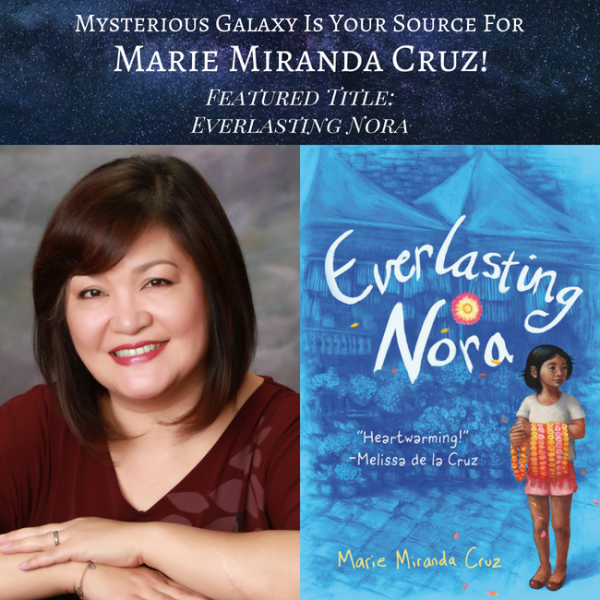 An uplifting young reader debut about perseverance against all odds, Marie Miranda Cruz's debut Everlasting Nora follows the story of a young girl living in the real-life shantytown inside the Philippines' Manila North Cemetery. 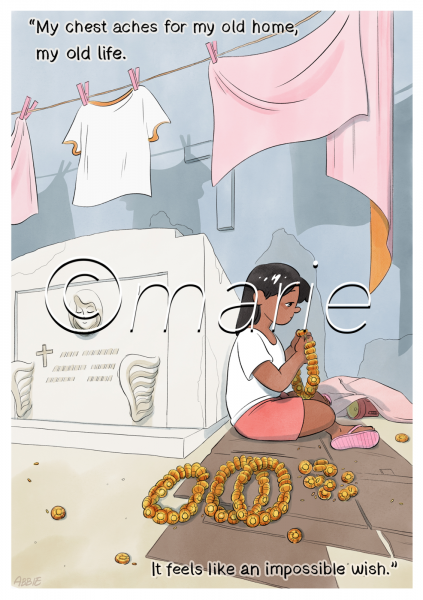 After a family tragedy results in the loss of both father and home, 12-year-old Nora lives with her mother in Manila's North Cemetery, which is the largest shantytown of its kind in the Philippines today.